Home / Interested in Learning More About Strategic Restructuring? Interested in Learning More About Strategic Restructuring? 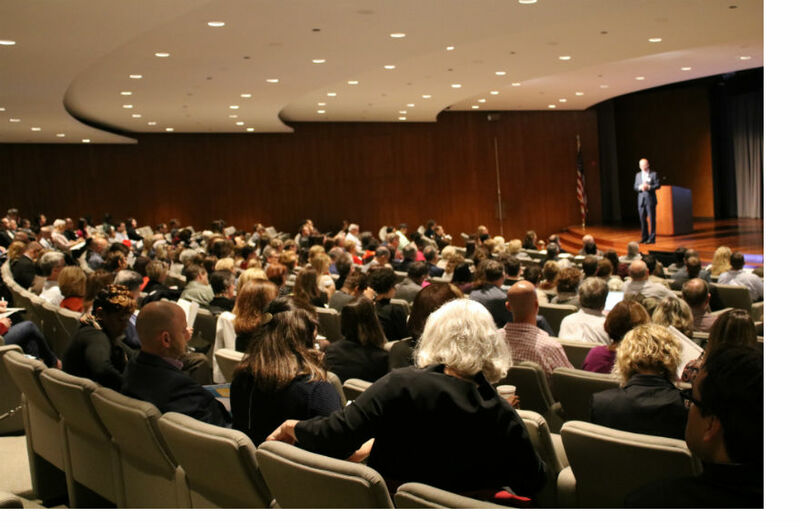 On October 20, Forefront hosted nearly 500 nonprofits professionals at a Mission Sustainability Summit held at JPMorgan Chase Auditorium. At the Summit, nonprofits learned from both local and national experts about collaborations, mergers, joint ventures, back office consolidations and other possible ways to strategically restructure to strengthen their organizations' missions. and small grants for exploration and implementation. These resources will help nonprofits consider different ways to respond to a changing environment and to help them become more effective in addressing their missions. As part of the next phase of MSI, Forefront is accepting applications from nonprofits to assess their organizational readiness for strategic restructuring. From these applications, Forefront will invite 20 organizations to complete an assessment which will examine the goals, demands, institutional needs, and opportunities that might lead them to pursue a strategic partnership with one or more other nonprofits. After completing the assessment, participating nonprofits will be offered a free, follow-up consultative session with our technical partner, La Piana Consulting. The assessment and identified next steps will give them a clear sense of their readiness for strategic restructuring and help them to decide whether they want to proceed with further partnership exploration. To apply for the free organizational readiness consult, complete this survey by November 18. If you have any questions about Forefront's Mission Sustainability Initiative, please contact Elspeth Revere at consultant@myforefront.org.